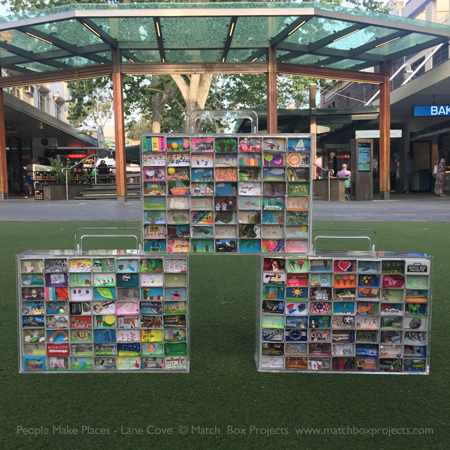 We will be in the Lane Cove Alive Office (upstairs at 18a Burns Bay Road - next to Zjoosh) on the following days to collect People Make Places - Lane Cove matchboxes. Also when delivering your box please ensure you leave ample time for us to take a photo of your creation in your hands and to record your voice describing your Lane Cove matchbox. This entry was posted on Monday, October 12th, 2015 at 7:37 am	and is filed under Our Blog. You can follow any responses to this entry through the RSS 2.0 feed. You can leave a response, or trackback from your own site.